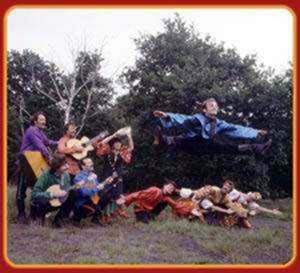 Tziganka consists of up to 11 folk music and dance artists from various parts of Russia, performing balalaika and guitar music, Cossack dancing, Troika bells and gypsy singing. "It would win any audience." Since its formation in 1975, Tzinganka has achieved considerable international acclaim and stands today as the leading group of its kind in the West. Tziganka’s performances are both educational and entertaining, drawing on the rich ethnic diversity within Russia. With its unusual blend of folk dances, songs, instrumentals and humour, Tziganka is distinguished not only by its high musical and choreographical standards and by authenticity of both style and material, but also by the fact that it lays special stress on that unique part of Russian folklore – the Gypsy song – as implicit in the name of the group which means “Gypsy Girl”.